For most of 2018, global tanker market was demonstrating low freight rates with a steady recovery seen in the fourth quarter. Analysts expect the market to show an upward trend for the coming two years driven by a steady demand for crude oil and oil products, oil production growth in the USA, favourable fleet balance and IMO regulations. Russia’s Arctic projects also contribute to the growth of the demand for tanker transportation with a priority given to ships of domestic origin. Throughout the first three quarters of 2018, all tanker segments of the global freight market were showing their historical low level with a sharp increase of freight rates seen in the fourth quarter. Throughout the first half of 2018, VLCC spot rates were not higher than $11,000/day. However they exceeded $48,600/day by December. Suezmax rates in January-August were $9,400/day maximum, while in December they were as high as $44,100. Aframax rates in January-September never exceeded $8,200 but reached $39,000 in December. 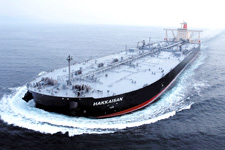 According to the analysts of Arctic Securities, the tanker market will see stabilization and an upward trend in 2019-20 driven by several factors. First of all, IMO regulations foresee introduction of a 0.5 % sulphur cap for marine fuel from 2020 which is to result in the a higher demand for oil from refineries and larger volumes of crude and oil products shipping. Besides, a considerable number of tankers will removed from operation for installation of scrubbers, which will also contribute to the growth of freight rates. According to DNV estimates, about 14% of crude oil carriers will be equipped with scrubbers by the end of 2021. Secondly, oil production in the USA will also facilitate the growth of seaborne transportation, particularly with the increase of the middle range of supplies. Rystad Energy analysts forecast oil production in the USA to grow by 1,300 barrels per day in 2019 and by 1,000 barrels per day in 2020 (if average oil price is $55 per barrel). If oil prices exceed $55 per barrel this growth will be even faster. American oil is primarily supplied to the Asia Pacific Region. The expected growth of output will mean the need for additional 23 VLCC tankers annually. Thirdly, the balance between the decommissioned ships and newbuildings is expected to have a positive impact on the tanker segment of the global freight market. The backlog of orders for crude carriers accounts for 12% of the current fleet, for product carriers – about 8% which means that total tonnage will grow by slightly more than 1% in 2020, taking into consideration the plans for decommissioning. Good prospects are seen in the segment of LNG transportation. In 2018, global LNG sales grew by 7.5%. They were driven by launching of new LNG facilities including those in Russia. The year of 2019 is expected to show even higher increase. 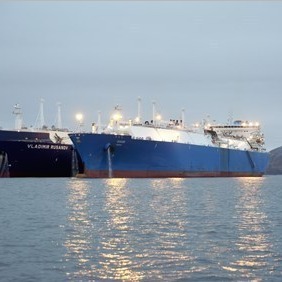 According to Arctic Securities, the demand for LNG carriers will grow by 17% in 2019 and by 12% in 2020 while the tonnage in this segment is expected to grow by 10% in 2019 and by 8% in 2020. So, the coming two years will see the demand for LNG transportation exceeding the supply. That will result in the increase of freight rates and ensure a good profit for certain shipping companies. In this respect, it should be noted that the demand for tankers is growing in Russia with its oil and gas projects. In 2019, six Arc7 LNGCs, seven conventional gas carriers and two Arc7 carriers of gas condensate are to be put into operation on the Northern Sea Route under the projects of NOVATEK. 3 more conventional gas carriers are to join then in 2020. Apart from NOVATEK, there are other companies requiring tankers for Arctic operation. Neftegazholding JSC needs up to ten Arc7 vessels and a conventional tanker with deadweight of 150,000 tonnes. 7 Arc7 vessels and 3 Arc5 vessels are required for Gazpromneft-Yamal LLC. RF Government is undertaking measures to ensure construction of such ships in Russia and encouraging them to fly the flag of the Russian Federation. The Ministry of Industry and Trade is currently developing criteria to confirm the Russian origin of ships.